LISA K owner Ernest Audet with a beautiful blue marlin during the Tri State Shoot Out based in Block Island, RI. 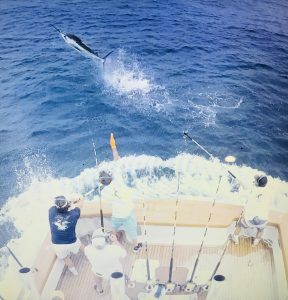 For the fourth y ear in a row, the team aboard the Paul Mann 67-foot LISA K was the big winner in the billfish release category for five white marlin and a big blue marlin. The beautiful catch was worth 525 points and took categories going away during one of the Northeast’s most competitive and popular tournaments, the Tri-State Canyon Shoot Out July 29-August 2, 2018. LISA K owner Ernest Audet was the angler on two of the white marlin and the big blue one. Thomas Rowe was angler on the other three white marlin and all were ably assisted by the rest of the team including Tyler Brown, Mark D’Andrea, Junior Jarvis, Chris George and LISA K Captain Bruno Larica. The Stuart, FL based team racked up half of the billfish caught by all the 71 boats in the tournament to win the category. 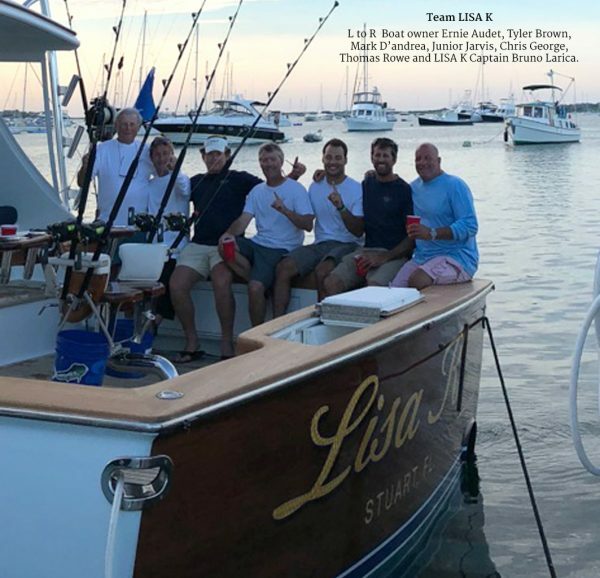 The tournament crew aboard the LISA K received trophies and a substantial cash award for First Place in billfish releases. A huge shout-out to the owner and team of LISA K for a really impressive tournament win!